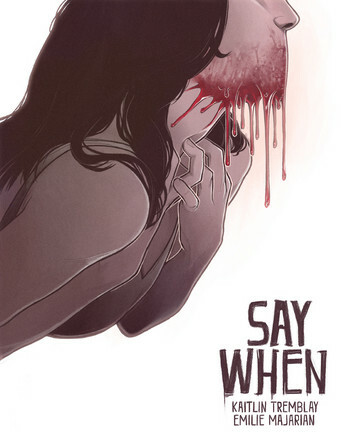 Say When is a game that interrogates the ways we attempt to modify our bodies in an effort to make ourselves feel whole. The idea is to normalize the idea of "killer interfaces" i.e. things that may be external to us, by looking at how one can commodify and integrate interfaces as a manner of therapy and healing. These interfaces come in the form of mods (brain, body, and heart) that the player must decide to attach to the main character, Lily. Some of these are traditional sci-fi body mods, like metal arms, whereas others are mundane parts of reality, such as calling a friend or masturbating. Some of these attempts are positive and increase Lily's sanity. Others are detrimental and decrease her sanity. The goal is to be kind to Lily as you attempt to help her. The outcomes of the mods are not always intuitive, and encourage care and thought when facing the way we interact with another's feelings of emptiness and helplessness. Created during DMG's Feb Fatale 3: Killer Interfaces game jam in February 2015.